We have the pleasure of welcoming Matt Cummings to the show this week. 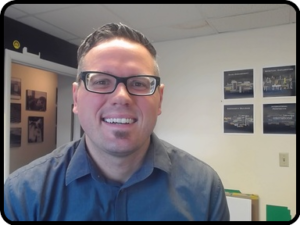 He talks with Dustin about his work getting students involved with service, exploring their spirituality, and he also shares tips for assessment. We appreciate Matt for taking time out for the show! “Cultivating the Spirit” by Astin, A., Astin, H., and Lindholm, J. “Big Questions, Worthy Dreams” by Parks, S.
“The Year Without Pants – WordPress and the Future of Work” by Berkun, S.
“Leadership for a Better World” by Komives, S. and Wagner, W.
“The Leadership Challenge” by Kouzes, J. and Posner, B.